Members may now submit requests for expense reimbursements, which form a queue that can be easily reviewed by the treasurer for approval. The treasurer will receive an e-mail notification when new requests are submitted. 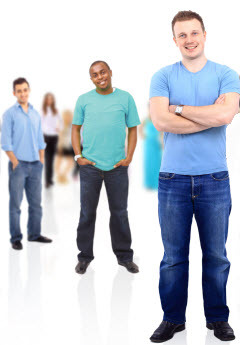 A new shirt sizes report shows the shirt size of every member. The take attendance page now sorts by their sign-up status. All search pages now let you search for empty values. 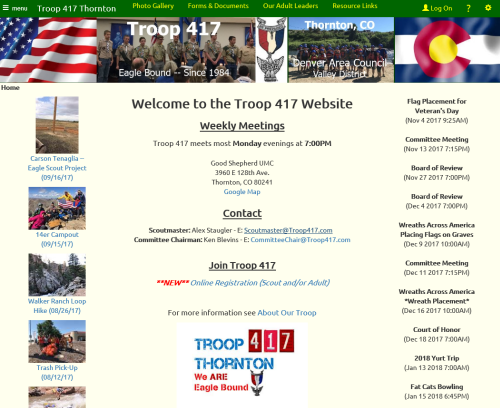 Troop 417 of Thornton, Colorado! The striking collage of images in the banner is just the start to a home page that provides exactly what a prospective young scout - and his parents! - needs to know to make the first step toward joining the troop. And the rest of the public pages are similarly focused on bringing new members into the troop!